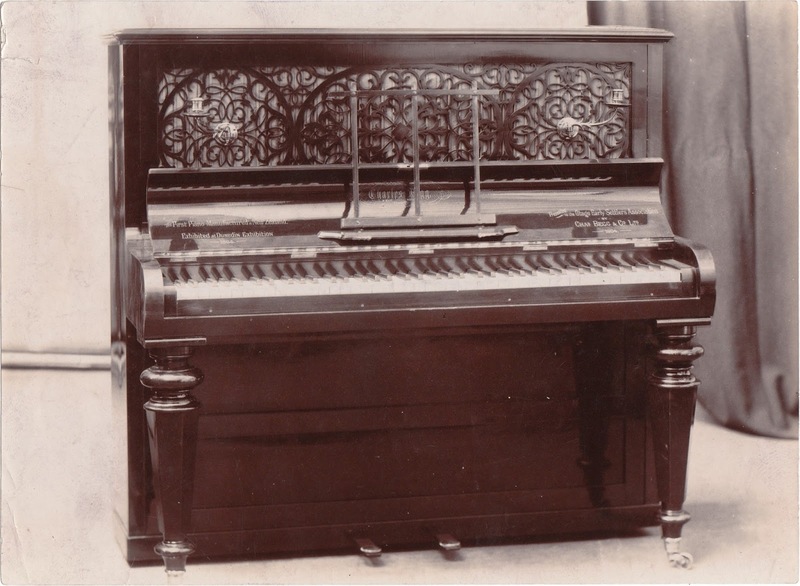 left: The First Piano Manufactured in New Zealand. Exhibited at Dunedin Exhibition 1865.
centre: (made) by Charles Begg no. 21 and 21 Princes Street, Dunedin. right: Presented to the Otago Early Settlers Association by Chas. Begg & Co. Ltd. 1904. Specimens of local industry, no matter in what branch, must be at all times interesting to those having the welfare of the province at heart, and we are happy to be able to record the initiation of another new industry, which shall be productive of profit to those engaged in it. We refer to the manufacture here of two pianofortes, two of which are now on view at the shop of Mr. Charles Begg, Princes-street. The pianofortes are of the land known as cottage 6⅞ octaves, and in neat rosewood cases, and altogether will compare favourably in tone and appearance with the importations of London makers. 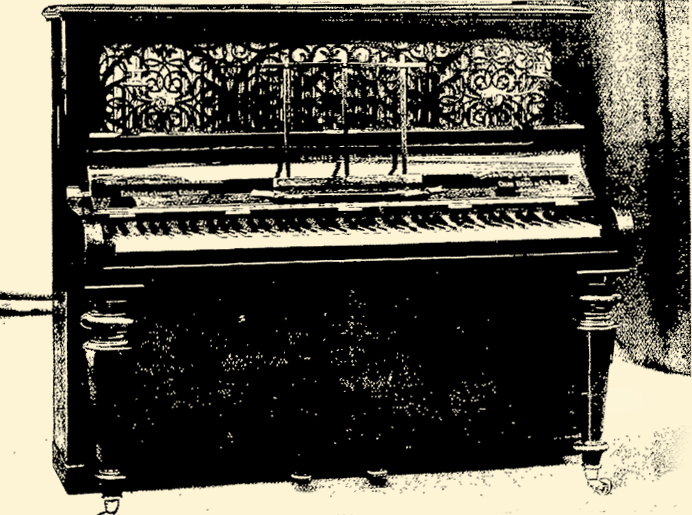 A relic of the early days: first piano manufactured in New Zealand. This instrument was made throughout in Dunedin by the late Mr Chas. Begg, founder of the firm of Chas. Begg and Co. (Limited), and was exhibited, with three similar pianos, by him at the Dunedin Exhibition in 1865. It recently came into the firm's possession, and they decided to give it to the Otago Early Settlers' Association. It is largely made of New Zealand woods, still possesses a really good tone, and is yet thoroughly sound in every respect, despite forty years of hard wear, and is excellent evidence of the hardihood of the "early settler." Piano; Charles Begg; Pre-1865; 1904/34/1 - Toitū Otago Settlers Museum.